Here is 1 of some sprite that lately I make to my server. Credits: Idea: AvonRO. 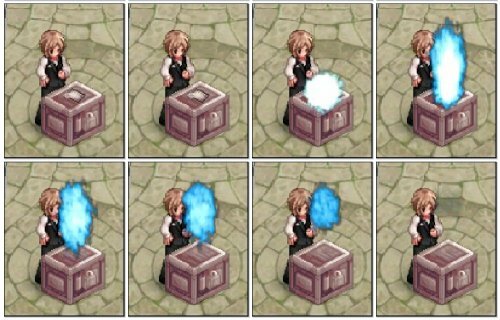 Image: Gravity Interactive (Box & Smoke) w0wzukubg (Cards Image) (I don't know who own the Guy image since I can't find it or the source no longer available) It's just my experiments about sprite editing to improve my experience about it. Do remain any credits of respective author if you know.